For the maintenance of homeostasis and the prevention of damage to the body, you have a passive biological mechanism, called human excretory system that serves to remove unnecessary, waste and excess materials from the body. The unnecessary materials primarily consist of the waste products of metabolism, but also include other liquid and gaseous wastes, such as urine, sweat and respiratory gases (CO2). Your entire body depends on the optimum performance of this system as the healthy functioning of most organs involves the production of metabolic and other waste substances that need to be eliminated. 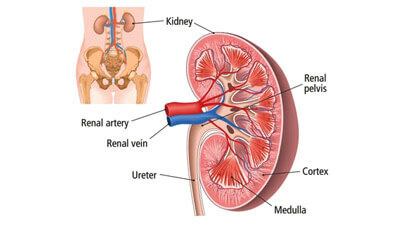 It is important to note that all the waste producing organs are included in the excretory system definition, but here you need to consider only those specific organs that are concerned with the collection and excretion of useless products. 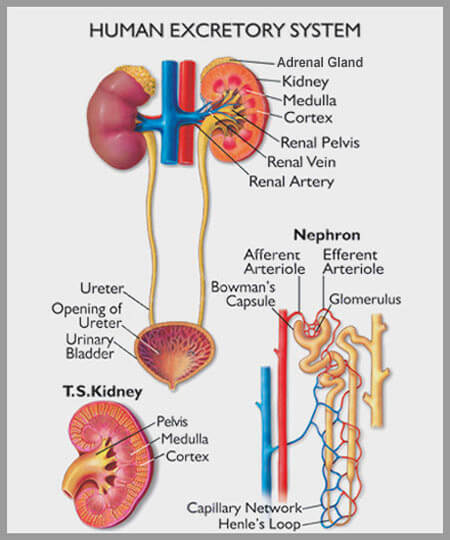 For the proper understanding of “What is excretory system?” you need to study its structures and their functions. 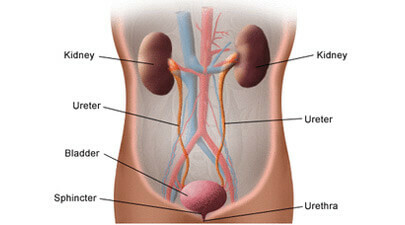 The primary organs of the excretory system are three in number, namely, kidneys, lungs and skin, but certain other body structures are also associated with it that are considered as integral parts of this system, such as the liver, eccrine glands, large intestine, ureter, urethra, urinary bladder etc. The vital importance of this advanced and complex excretory system of human body can be realized from the simple fact that it removes poisons and other life-threatening substances from your body. For example, somebody tells you that there is a poison present somewhere in your home, but you don't know where it actually is. You will, definitely, try to find it out and remove it as soon as possible, or else not only your life but also the survival of your family members will be at risk. Consequently, you will try to device a proficient system that will find, identify and ultimately remove any unnecessary, dangerous, waste and unwanted substances from your home that will be termed as an excretory system. 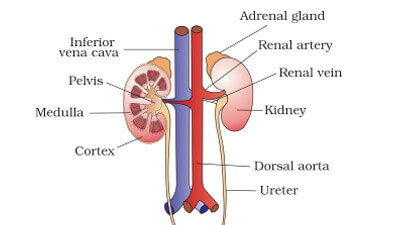 For the accomplishment of the same task, your body also contains an extended network of canals and smaller tubes that are collectively termed as human excretory system. 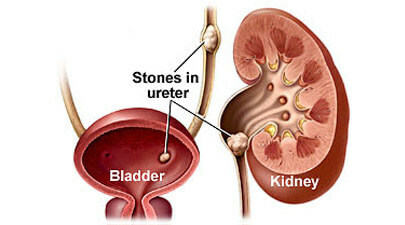 Informative Articles About "Human Excretory System"